Hi, friends! 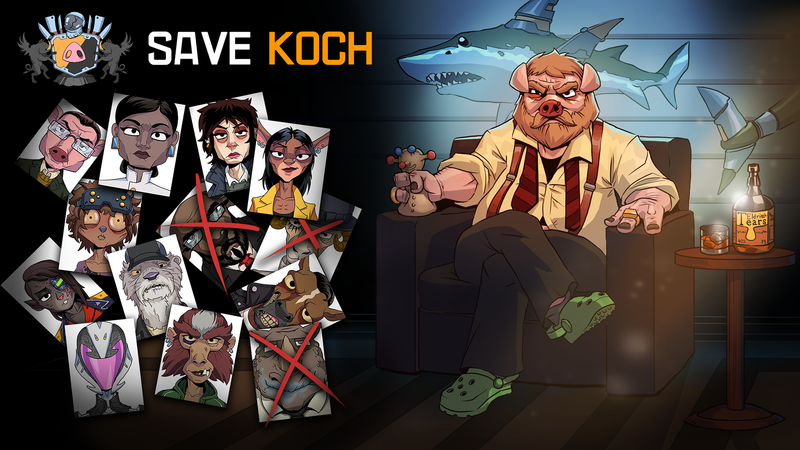 In celebration of the launch, we are giving you 15% off for Save Koch until the next Friday. A mafia kingpin Jeffrey Koch definetely wouldn’t miss this offer. And you? Don't make any plans for April 18. 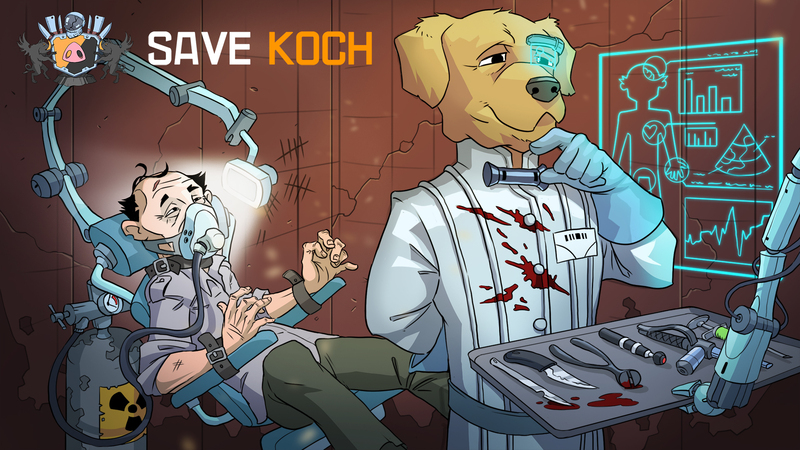 Save Koch is coming. On this day, our game will become available on Steam for Windows, MacOS, and Linux. We pray to all known gods and hope you will like it! This game contains violence showing graphic, death and injury to unrealistic humans or animals, crime scenes, use of alcohol, sexual descriptions and mild swearing.